Do you want to push yourself in rougher water, but don’t because you may take a swim? Well get into an Eskimo Rolling Course and move on. Kayak rolling is always a challenge, but it is made much easier when it’s taught progressively and with the correct technique to ensure you roll back up consistently and safely. 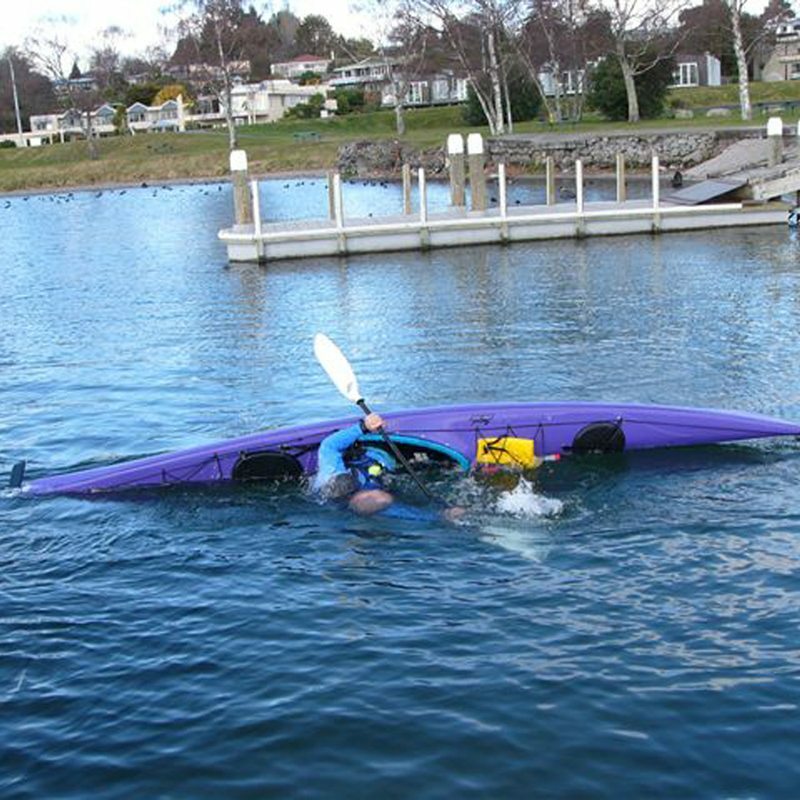 Water confidence, through a progressive training system developed over twenty years we will help you develop your underwater confidence so that you can control the natural panic that we all feel when upside down in our kayaks. This is the first step to gaining a reliable Eskimo Roll as it allows time underwater to deploy the skills you have learnt to achieve a reliable Eskimo Roll. Correct body and paddle movement to make the roll easy. When you use the main muscles in your body and have the paddle in the correct place an Eskimo Roll requires almost no effort. Through a series of teaching points, you will learn these secrets and become familiar with each step to gain success. A swimming pool is fine and you are at ease, however, as soon as you are in the ocean or surf your mind will play games with you and all the excellent rolling progress vanishes. What goes wrong? You guessed it, your water confidence, but with a few more exercises and a bit more practice it all comes back and now you have a “bomb proof” roll, fit for any adventure. We’ll help you adjust your kayak. It’s important to be as snug and as one with your kayak as you can be so that your kayak responds like a good running shoe does to your foot. Not like a wet jandle on a cross-country run. For many, their biggest fear is going upside down in a kayak but by learning to roll a kayak (or Eskimo roll), you will gain a huge amount of confidence and control out on the water. Kayak rolling can be easy to learn when it is taught progressively and with the correct technique to ensure you roll back up consistently and safely. 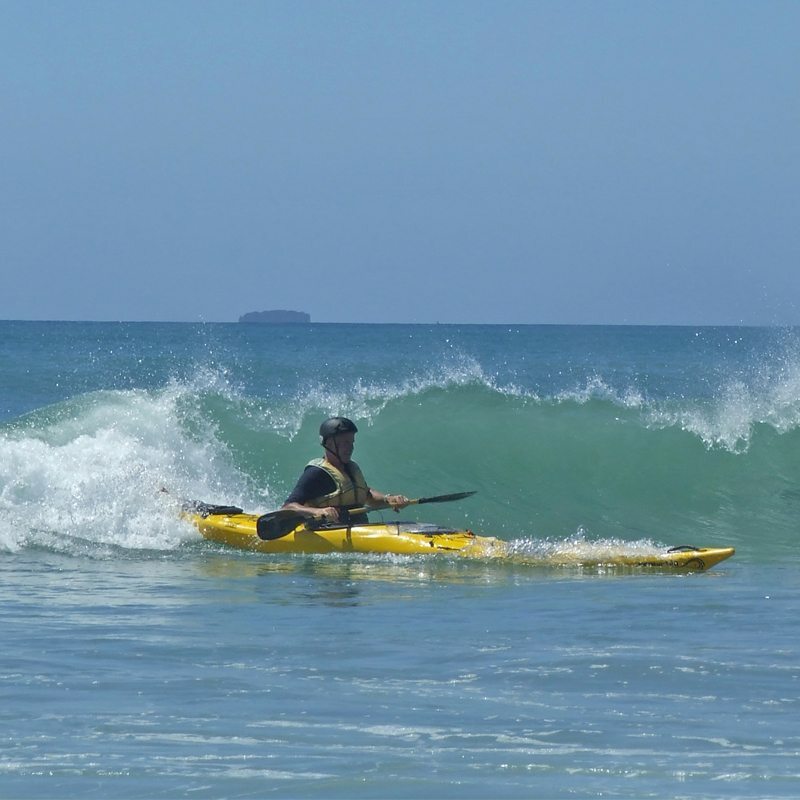 On our kayak rolling course is held in the beautiful Long Bay – Okura Marine Reserve. Small groups of up to 4 students make this a fast way to learn. On average it takes most people 1 day to get the basics of rolling and we encourage you to continue to practise your rolling technique or do so out on the water regularly to perfect your technique. The course is a half day on the weekend focusing on water confidence to limit fatigue, followed by two 1.5 hour afternoon sessions in the following week to cement your learning. We take you through confidence routines so that you feel comfortable upside down in your kayak and then progress you through to full Eskimo rolling in the comfort and convenience of a heated pool. What to bring: Togs, towel, goggles and nose plugs if you prefer them, warm changes of clothes, polypropylene or woollen tops and bottoms and a wetsuit if you have one. 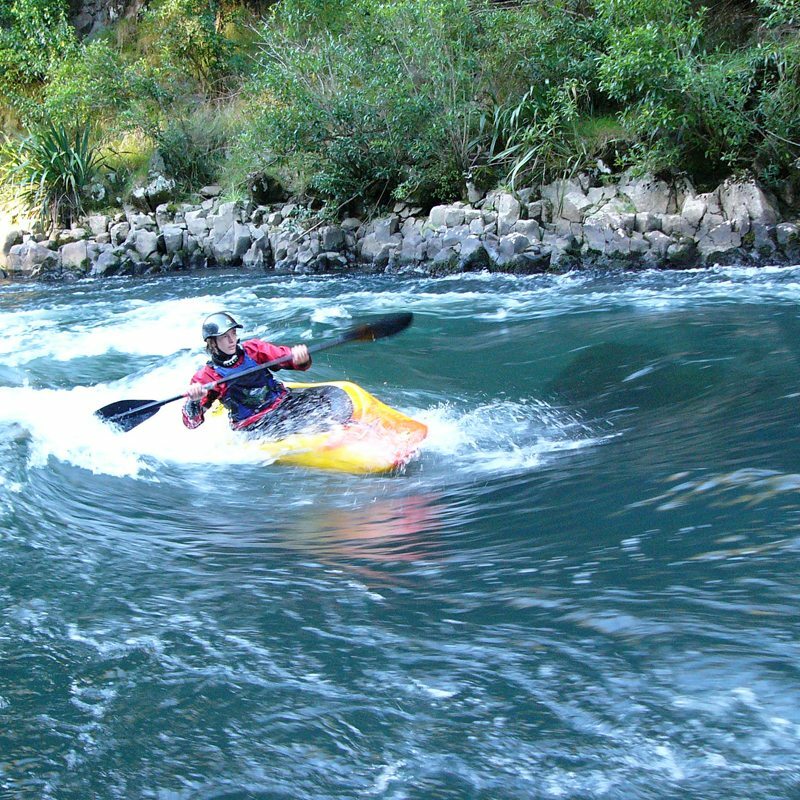 Kayak and equipment hire, and instruction are included in the fees.